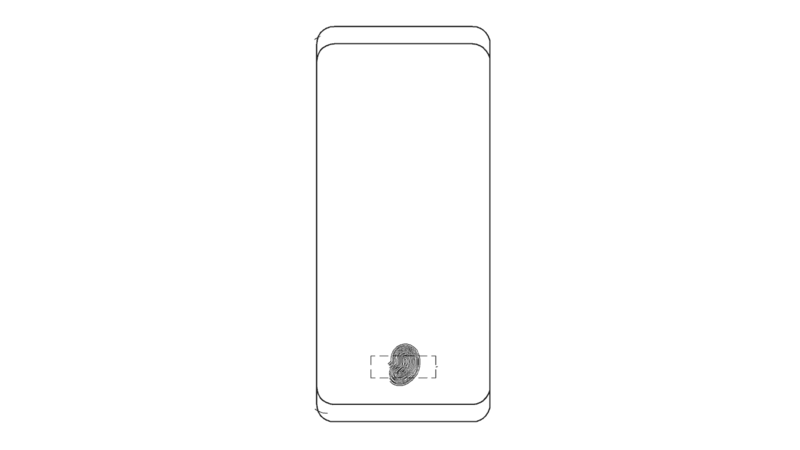 In short: Samsung is still pursuing optical fingerprint readers meant to be implemented below conventional touchscreen panels, according to new patent documentation published by WIPO on Thursday. The company’s newly awarded intellectual property, first spotted by Dutch tech blog LetsGoDigital, describes a type of an in-display fingerprint scanner that has already been commercialized by the likes of Vivo and Huawei, with such solutions being in mass production since early this year. While Qualcomm and several other companies pioneered optical fingerprint sensors, Samsung now appears to be looking to secure its own design of such a biometric system, though its reasoning for doing so remains unclear. The upcoming Galaxy S10 and Galaxy Note 10 lineups are both expected to feature ultrasonic readers, a new version of the technology that’s superior to optical sensors in everything but production costs. The basis on which Samsung was awarded the new patent is equally confusing as the solution appears to be extremely similar to Qualcomm’s existing one. It’s presently unclear whether Samsung even has the capability to produce in-display fingerprint readers in-house, with the company being relatively slow to embrace the new technology relative to some of its top rivals from the Far East. Background: Samsung has been trying to commercialize in-display fingerprint readers for years now but just like its foldable phone ambitions, the company kept delaying the project due to a variety of issues, most notably problematic yield rates in mass-production scenarios and end-user experience. Compared to traditional readers, optical module embedded below mobile screens offer less accurate performance, meaning they can either fail to correctly authenticate a user or have a higher chance for false positives, which impacts the overall security they provide. Likewise, they’re simply slower to respond to touch, which is why Samsung steered clear of them even as Huawei and Vivo were jumping to embrace them early this year. Ultrasonic scanners promise to alleviate many of those concerns by not only being comparably fast and accurate but by actually doing a better job at handling wet and dirty fingertips. Such solutions have yet to be commercialized, with Qualcomm being the only company that’s currently offering production-ready technologies. Samsung was rumored to be one of its first customers along with Huawei, which makes the firm’s renewed interest in last-generation tech more confusing. The most likely explanation is that Samsung is looking to embrace optical modules after all due to the heavy competition it’s facing in the mid-range market segment; for much the same reasons, the company equipped its recently launched Galaxy A9 mid-ranger with no fewer than four rear cameras even as none of its existing flagships feature more than two of them. Before the rise of Chinese manufacturers such as Xiaomi and OPPO, Samsung’s mid-rangers usually only received new features a year or two after the thereof already arrived to the company’s flagships but as aggressively priced products from China started embracing them in much shorter cycles, the firm is now forced to ramp up those innovation efforts or risk being pushed out of the mid-range price bracket, which is something that’s already happening in India, or at least was until recently. The inner workings of optical readers still suggest such solutions would perform worse than even conventional sensors mounted on mid-range handsets. That concern is what’s causing some skepticism around the launch of the OnePlus 6T that’s already been confirmed to be ditching a rear-mounted scanner in favor of an in-display optical one. Samsung already made some inroads in regards to making in-screen sensors of all kinds more secure, having envisioned a technology that would protect such systems against spoofing by quickly taking two successive measurements under slightly different lighting conditions so as to determine whether the object pressed on the display is an actual human finger or just a printed imitation, AndroidHeadlines discovered last month. It’s still unclear how close is the company to actually implementing the technology into consumer-grade products. Impact: While Samsung was expected to skip optical fingerprint readers altogether in favor of superior ultrasonic sensors, the company’s strategy shift may be a result of the increased pressure it’s facing in the mid-range segment of the global smartphone market. With recent reports indicating some of the company’s non-flagship devices will feature under-display scanners, optical modules make some sense as they represent a more realistic choice for such implementations than significantly more expensive ultrasonic readers. The upcoming Galaxy S10 and Galaxy Note 10 lines almost certainly won’t utilize the already outdated technology as such a move would mark a backward step for Samsung in terms of authentication speed and accuracy, i.e. security. The tech giant’s recent patent activity is hence likely an indication of its mid-range product strategy being revamped and not a sign that its next-generation devices will feature last-generation hardware. Regardless, optical fingerprint readers themselves aren’t expected to go away anytime soon as the industry is only now starting to embrace in-display sensors and many companies are likely to equip their non-premium devices with such modules moving forward, especially as their manufacturing costs go down by a significant margin, which is expected to happen as early as next year. Even some flagships such as Huawei’s Mate 20 Pro already utilize these banal sensors, with the OnePlus 6T being set to embrace them as well this fall. Despite Samsung’s willingness to experiment with various authentication systems, the company is expected to go all-out with its 2019 premium lineups, especially after its largely incremental product upgrades — the Galaxy S9 and Galaxy Note 9 lines — failed to meet commercial performance expectations this year. Besides in-display fingerprint readers, the company’s high-end 2019 handsets are also expected to offer triple-camera setups, with select models being planned with 5G compatibility in mind as well. Finally, the electronics juggernaut’s first foldable smartphone has long been rumored to be featuring an in-display fingerprint reader and it may end up being the first Samsung-made device to do so as its announcement is expected to happen early next month at the OEM’s annual developer conference taking place in San Francisco, California. You are reading an article on the Samsung Still Pursuing Outdated In-Display Fingerprint Readers. All materials on the site Gadgets F, а также и статья Samsung Still Pursuing Outdated In-Display Fingerprint Readers - written for the purpose of information enrichment and we are happy if you like our magazine. Dunu DN-2002 vs DK-3001: what to choose?